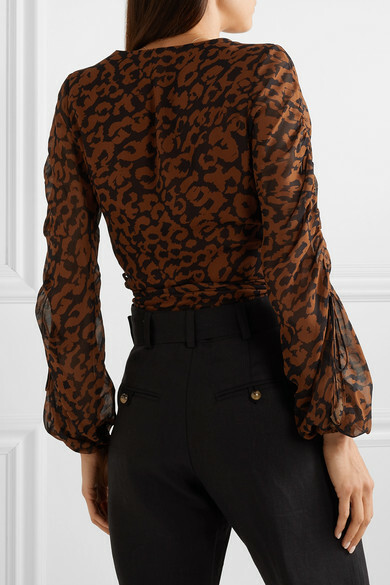 Nicholas' top is made from lightweight silk-chiffon that's printed with a tonal-brown leopard-print motif. 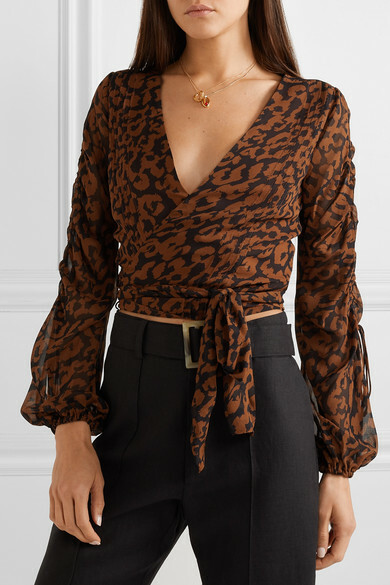 It's cut in a flattering wrap silhouette that can be adjusted to your ideal fit and has ruching along the billowy sleeves. 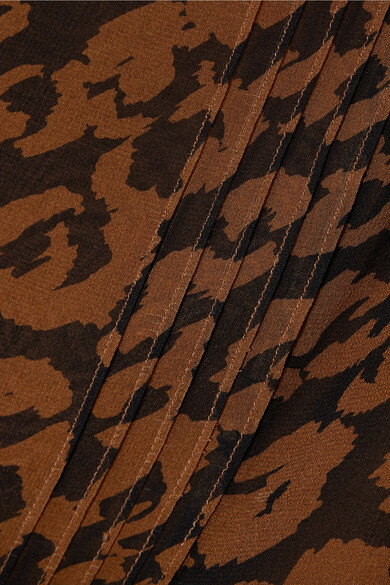 Wear it with a high-rise skirt or tailoring. 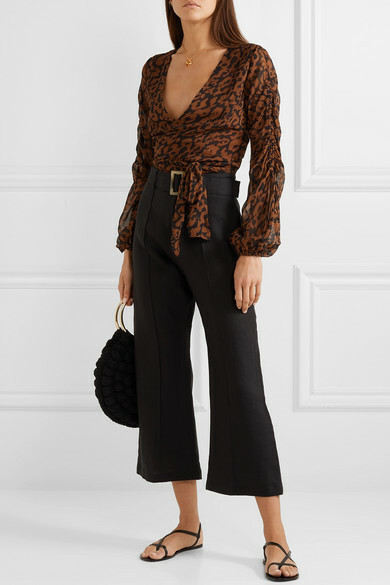 Wear it with: Lisa Marie Fernandez Pants, Ulla Johnson Tote, ATP Atelier Sandals, WALD Berlin Necklace, Alighieri Necklace.